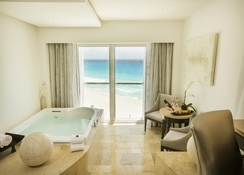 Le Blanc Spa Resort is a luxurious adults only hotel perched on one of Cancun's most spectacular beaches. Soberly decorated in minimalist style and a crowned winner of the coveted Five Diamonds prize, this all inclusive property is ideal for couples seeking a tropical oasis. Le Blanc Spa Resort's stately guestrooms offer guests their own sanctuary, with floor-to-ceiling windows serving incredible views, airy cream and marble interiors, whirlpool tubs and first-class amenities to ensure ultimate comfort. Guests can do as much or as little as they like at Le Blanc, thanks to a variety of activities on offer. There are three swimming pools (two of which are infinity pools), a wellness and fitness centre which hosts several classes, unlimited access to the nearby Moon Palace Golf Academy, exciting tours and day trip packages, plus the sumptuous BlancSpa. Dine in four fabulous restaurants serving elegant French, Asian, Italian and International cuisines. 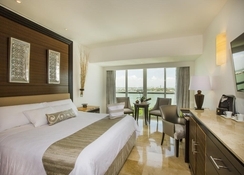 The hotel's central location in the heart of the Hotel Zone, next to the Nichupté Lagoon, makes it accessible to several tourist attractions and transit points. 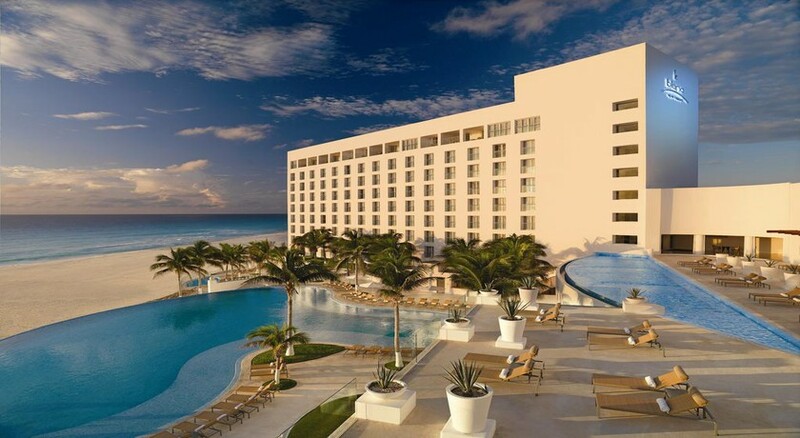 Cancun International Airport is just 23km from the hotel, while the resort town of Tulum is 134km. 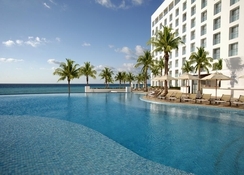 Local attractions include Xoximilco and Xcaret, which are 23km and 81km respectively from the hotel. 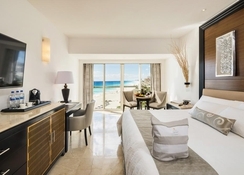 Rooms and suites at the Le Blanc Spa Resort are divided into categories to suit all guests, with a choice of Royale Honeymoon Oceanfront, Royale Deluxe Resort View, Royale Junior Suite, Royale Governor, Blanc Wellness Suite, Royale Deluxe Lagoon View and Royale Deluxe Partial Ocean View. Guests will be treated to plush, modern amenities, including a private bath with double shower heads, Apple TV, individually controlled air conditioning, BVLGARI bath amenities and a comfort menu - including specialty pillows, bath salts and aromatherapy. All rooms at the hotel come with jetted tubs. The hotel boasts a host of dining options along with chic themed restaurants, bars and 24-hour room service. 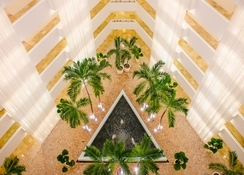 Lumiere Restaurant offers delicious French-fusion cuisine, Blancitalia Restaurant serves authentic Italian cuisine, Blancasia effortlessly blends the tastes of Peru and Asia, and BlancInternational is the hotel's main buffet-style restaurant. Bars in the hotel include Blancstage, Blanclobby, Blancsol and more. At Le Blanc Spa Resort recreational amenities include a whirlpool, a spa, a steam room and a relaxation room. 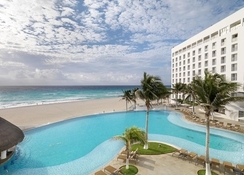 A variety of activities are provided by the hotel such as three fantastic swimming pools, exciting tours and excursions, a fitness centre, a gorgeous spa and access to golf courses.